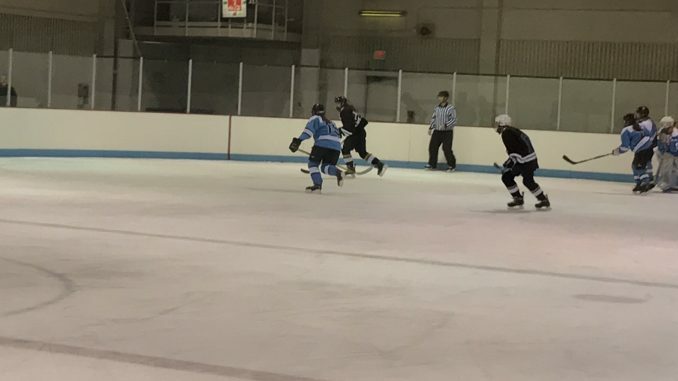 On December 11, 2017, the Chugiak-Eagle River high school girl’s hockey team played against South Bartlet high school. The one significant thing that CER (Chugiak-Eagle River) did well was pressuring the puck. The major player of the CER team was Kinley Gray for her outstanding perseverance throughout the first and second periods in which time CER brought the game within one point twice before being switched during the second intermission. The most valuable player from South Bartlet was their goalie. CER sadly fell short and succumbed to a loss of 5-2. The girls played an amazing game at the Dempsey ice rink. There were some parents who showed up, but there was very little turnout of other students from either school.